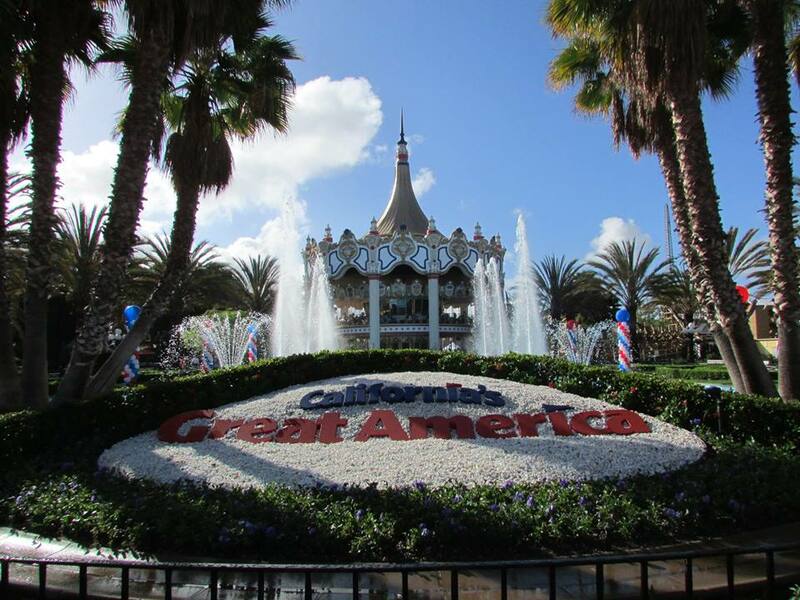 California’s Great America, Cedar Fair’s theme park in Santa Clara, the heart of California’s Silicon Valley, will add to its extensive and growing lineup of live entertainment and festivals with Red, White & Brews, a hometown celebration of Americana food and fun taking place May 27-29 and June 3-4. Red, White & Brews will bring the Hometown Square area of the park to life with locally sourced food experiences, more than 25 regional craft brews, Northern California wines, Bay Area bands, outdoor games and kids entertainment. Tasting cards will be available for just $25 per person (6 selections per card) to sample food items that include jumbo smoked chicken drumsticks, BBQ pulled pork sandwiches, skewered bacon wrapped chicken hearts, corn ears roasted in chili powder and lime juice, and tombstone sliders with shaved brisket. There will also be a dessert choice between an innovative apple pie, bacon and cheddar parfait or a traditional strawberry shortcake with the tasting card. Unique food items for sale individually in and around the Hometown Square area include: a brisket mac and cheese conewich with crispy brisket tips, crispy onions and BBQ sauce; red, white & blue funnel cakes topped with strawberries, vanilla ice cream and blueberries; tantalizing bourbon peaches and cream with cinnamon cream and candied walnuts; cinnamon dessert nachos, which are fried tortillas paired with vanilla ice cream and chocolate and caramel syrup. The entire festival will take pace under the Patriot, the park’s new floorless roller coaster experience featuring a nine-story drop where riders’ feet dangle inches above the track.